Commissioned by Waltham Forest for the London Borough of Culture 2019, ATOMIC 50: Time Travels in Tin has been created by Blackhorse Workshop working with acclaimed visual performance artist Abigail Conway. The idea for the installation came from the borough’s rich metalworking heritage, and the world-famous tin toy factories that were in operation here during the 1930s-1960s. 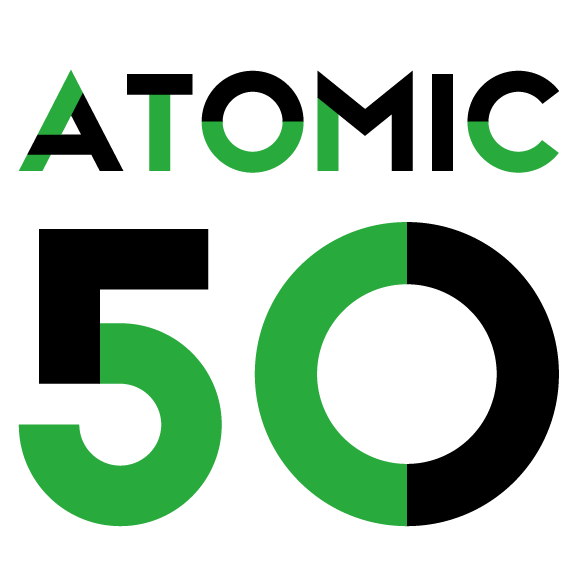 ATOMIC 50 (the number of protons in an atom of tin) is a radical re-imagining of the traditional learning environment, leading participants on a journey through time and metalworking. With this exciting project, we’re taking a new approach to the teaching of practical skills. Transforming a disused school building in Leyton Sports Ground, ATOMIC 50 is imagined as a ‘ghost’ factory that returns when there’s a need to revive the importance of metalworking skills. Working with eight local primary schools, we’ll be running free performances for over 650 children from the borough. Throughout the Easter holidays, the experience will be open to the public, for children aged 7-11 accompanied by an adult. So don’t miss your chance to join us as the factory returns! Mikey Armstrong, Elizabeth Bartram, Tyler Cunningham, Alex Donnachie, Katie Fotis, Lua Garcia, Enrique Melin Lauren Deanna Meredith Stubbs, Toby Poolman.